The oil that comes from reishi mushroom spores is the most valuable part of the mushroom! Improves Mood: Reishi mushrooms are known to be effective at improving mood and is one of the most sought after anti-depressant herbs. It is also effective in treating anxiety, reducing tension and calming the mind and body. Blood Sugar Regulation: Research has shown that Ganoderans A, B, and C found in relish mushrooms help balance blood sugar levels and prevent problems associated with type 2 diabetes. Improves Skin Health: Researchers have found that reishi mushrooms have the ability to cure numerous skin issues, such as burns, rashes, and insect bites. These mushrooms have an anti-histaminic, anti-inflammatory, anti-microbial and anti-allergenic properties that encourage healing. Slows Down Aging: The Ling Zhi 8 protein and Ganodermic acid found in reishi mushrooms work together to promote circulation and reduce free radical activities. As inflammation decreases, fine lines and wrinkles also decrease and the increase in blood flow to the skin improves elasticity. 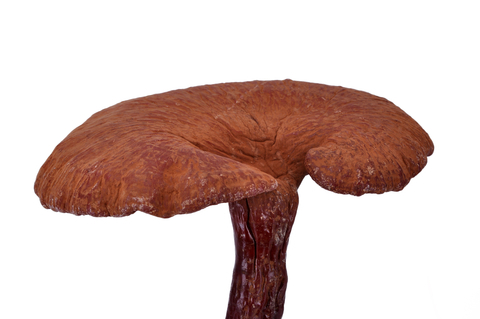 Consider purchasing reishi spore oil for your superfood cabinet. A few drops can improve your overall health, help fight existing conditions and prevent future health problems.